RSVPCARD009 is the back view shot of a 3.5×5 rsvp invite card. 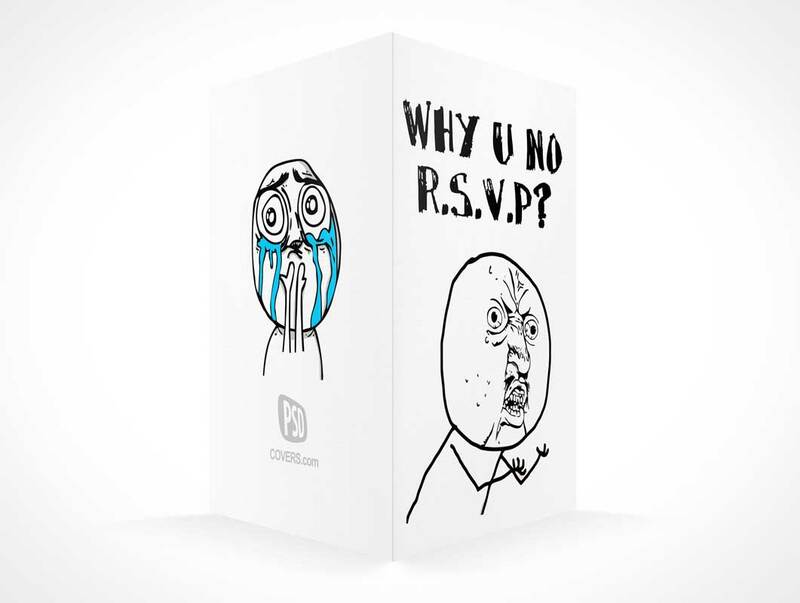 This PSD Mockup generates a product shot of a portrait oriented rsvp card with the 2 back panels facing the viewer, the interior panels are not visible in this mockup. The resulting PSD document which is created offers mutiple editable layers for modifying highlights and shadows to your liking.